This article is for them who are novice to SEO, for a high level understanding on the topic. Hope this helps & makes a useful reading. 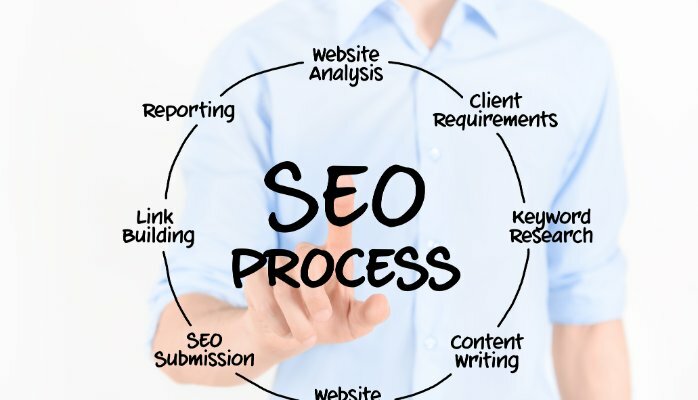 SEO (Search Engine Optimization) is a set of tricks and techniques which used to increase the visibility of a website on search engine to gain higher rankings in organic search engine result page and makes your site user friendly. The purpose of using SEO is to increase more traffic through search engine such as Google, Yahoo, and Bing etc. On page SEO refers to works need to be done on side of a website. Every page on the website should have a unique tittle tag and a good tittle tag will be no more than 70 characters. It should be product or service related keywords. The section of every page on a website should contain a customized meta description. These page summaries should be no more than 150-160 characters long and should include at least one mention of your page’s target keyword phases. In sitemap a page listing links to all the other pages on your site, though you can always create a sitemap by hand if your site is small. Internal links connect different pieces of content in a web site. Off page SEO is refers to all these things that we can do directly offside of a website to give it higher rank. Search engine submission– Submit your website to the most popular search engines like Google, Yahoo, Bing etc. Directory submission-Submit the website to topmost quality directories DMOZ, Yahoo Directory, ZoomInfo, One Mission, Pegasus, etc. Backlink creation- Backlinks enable you to keep track of other pages on the web that link to your posts. Social bookmarking– This may increase your website traffic based on how effectively you have participated. Do some social bookmarking in popular bookmarking sites like Digg, Delicious, Stumble Upon, Propeller, etc. Photo & video sharing- Publish or share your website product pictures/videos and make them public in you tube, Metacafe, Dailymotion etc. Article submission- Write articles of your own and submit them to popular article sites like Ezine, Go Articles, Now Public, Buzzle, etc. This will help you to attain some deep links for your website. Document sharing-Share your website documents like business documents, information brochures, and slides in Google Docs, Slide Share, etc. This will help you brand your website. Add posting-Do some classified Add submissions to advertise your products for free. Blogging- This is one of the most powerful ways to promote your company online. Write a blog of your own for your website with lots of unique content.